Microsoft has announced that it is bringing DirectX 12 support for Windows 7. The company also announced that Blizzard Entertainment's hugely popular World of Warcraft will become the first title to support DirectX 12 on Windows 7. DirectX 12 is a low-level API launched alongside Windows 10. It aims to improve performance and efficiency by reducing driver overhead. DirectX 12 titles are able to better leverage multi-core CPUs and also enable multi-GPU systems without requiring hardware vendor technologies such as CrossFire or SLi. Over the past couple of years, developers have been increasingly adding support for DirectX 12 in their titles. When implemented properly, DX12 does show improved performance over DX11. However, because many gamers are still on Windows 7 for whatever reason, they could only run the game at DX11, which is the latest version supported by that OS. While working with Blizzard, Microsoft decided to port over the D3D12 runtime over to Windows 7. However, Microsoft has clarified that while this will enable developers to support DX12 on Windows 7, the best DX12 performance will still be found on Windows 10 as that OS was designed from the ground-up for this API. You also won't get any of the other features such as DXR (DirectX Raytracing) on Windows 7. If you are a Windows 8 or 8.1 users then you are out of luck as those will continue to remain on DX11. 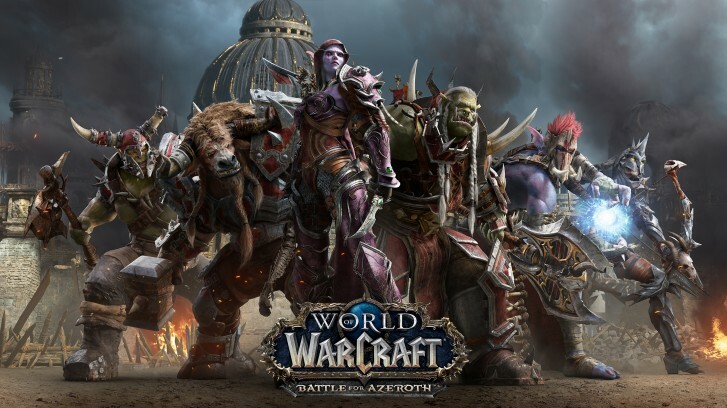 So far, WoW is the only title announced with DX12 support on Windows 7. However, Microsoft has said that it is working with a few other game developers to port their D3D12 games over to Windows 7. As for drivers, both AMD and NVIDIA has announced that they will be releasing drivers that enable support for DX12 on Windows 7 for compatible graphics cards.